The Amazon Echo, our favorite gadget of 2015, has quickly become the smart home hub that everyone is gushing over. With voice commands, the ability to play music from the cloud, fast weather and sports scores, and control of your smart home devices -- all done in a fast, intuitive way -- it feels like something straight out of Star Trek. Because the Echo is always listening for commands, users have started discovering that it can be "hijacked" whenever it hears it's activation phrase "Alexa," even if it's not from a person that's actually in the room. Several listeners of the NPR-produced Listen Up radio show wrote to its host Rachel Martin to inform her that a segment discussing the Echo had triggered their own Echo devices. One listener, Roy Hagar, said the radio segment "prompted his Alexa to reset his thermostat to 70 degrees." Another listener said his Echo "started playing an NPR News summary" and another said his "unit started going crazy, too." A similar case of electronics hijacking happened in 2014 when Breaking Bad star Aaron Paul accidentally turned Xbox Ones on; peoples' Xbox Ones heard the "Xbox on" voice command from the TV ad he was in and thought it was coming from a real person in the room. By default, the Echo is named Alexa and listens for the "Alexa" voice trigger. Simply telling the Echo to do something without using the trigger command will not activate it. So unless a radio show or TV program actually says your Echo's trigger command, you're safe -- it's not like the Echo will go rogue on its own for no reason. Using the Alexa app, you can change the voice assistant's name to Amazon, which will then activate when it hears "Amazon." Renaming Alexa to Amazon is one way to get around the voice-command hijacks, at leas until Amazon lets you assign your own custom name (although that may never happen). Saying "Amazon, turn on the lights" is, however, not as friendly-sounding as calling for Alexa, a key reason Apple and Microsoft have both personified their voice assistants -- Siri and Cortana, respectively. For all the smarts Alexa has, it's not very intelligent when it comes to picking out voices that are in the room and those from a TV, radio or another speaker. As voice-controlled devices become more ubiquitous and the Echo becomes even more of a smart home centerpiece, larger security concerns will arise. 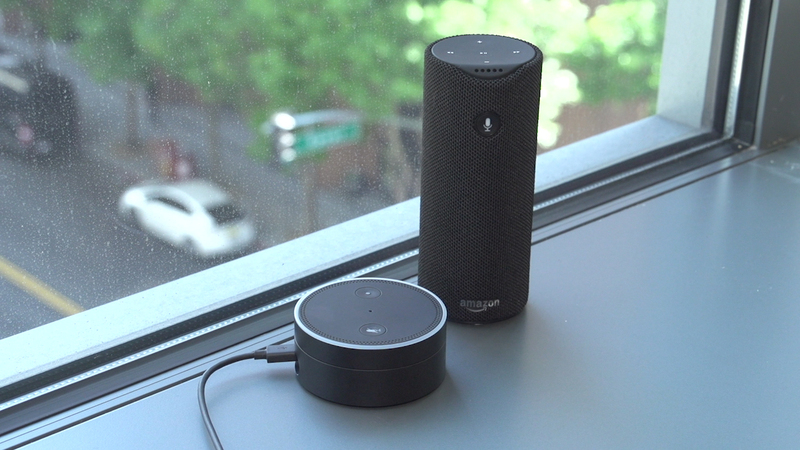 Amazon, for example, could incorporate voice biometrics into future Echos that can identify specific voices and verify them, before letting them order Alexa around. Apple's Siri already works like this, although, with the right conditions, that isn't foolproof either.